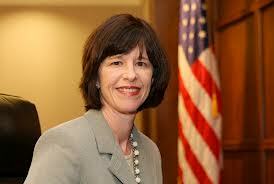 Governor Jerry Brown appointed U.S. Magistrate Rita Coyne Federman a San Luis Obispo Superior Court judge Thursday. Federman, 50, has served on the U.S. District Court’s central district of California since 2004. She fills a vacancy created when Judge Teresa Estrada-Mullaney retired last January. As a superior court judge she will make $178,789 annually. Federman, a Democrat, previously served as a judicial staff attorney and a judge pro tempore at the San Luis Obispo Superior Court from 1999 to 2004. Federman currently serves on the board of directors for the San Luis Obispo Legal Alternatives Corporation. She has a juris doctorate degree from the California Western School of Law and a bachelor’s degree from Boston College.